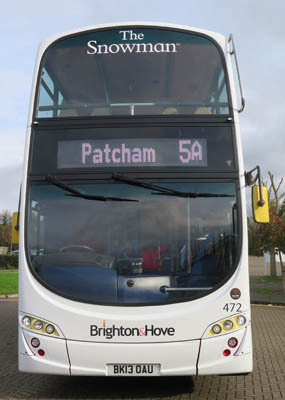 Connections with Brighton and Hove : When a young boy’s snowman comes to life on Christmas Eve, the two set off on a night-time quest for adventure. They meet Father Christmas, dancing penguins, reindeer and crowds of The Snowman’s friends, but will they escape evil Jack Frost and get back home for Christmas morning? In one of the scenes you can see The Snowman flying over the Royal Pavilion. 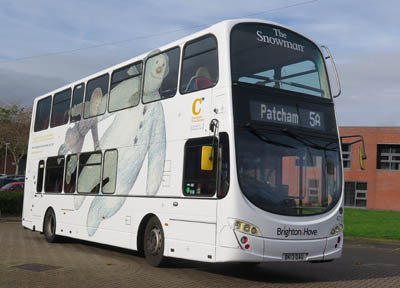 472 Volvo Gemini carried name since November 2017 in Snowman livery. 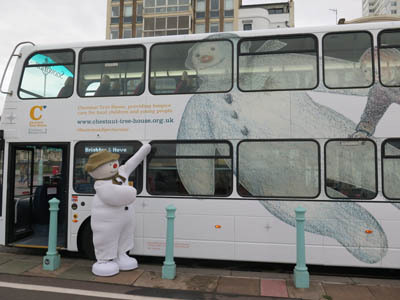 The Snowman meets The Snowman bus.